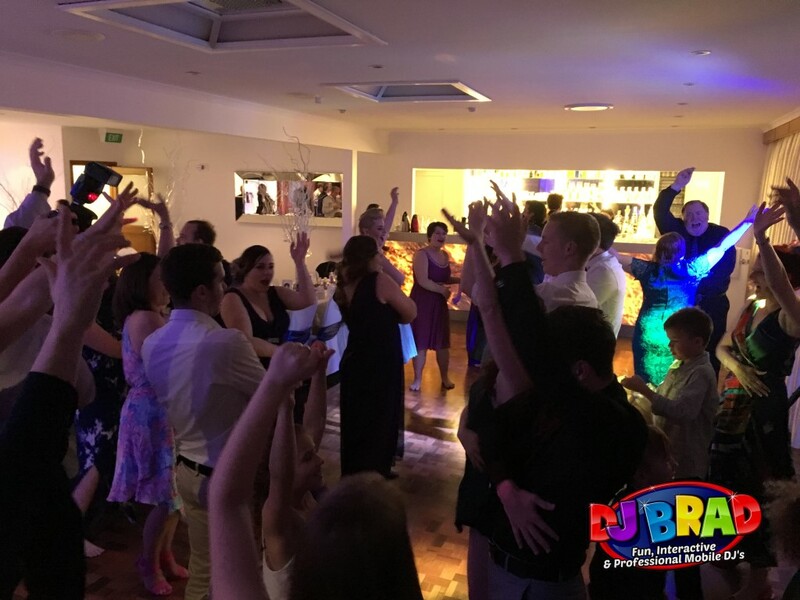 Along with our DJ & MC service, we offer a number of different effects, and optional extras that can enhance your event even further. You can choose from individual options, or we can package them together depending on your requirements. Please note some options (e.g. Dancing on the Clouds) may require approval from your Venue. 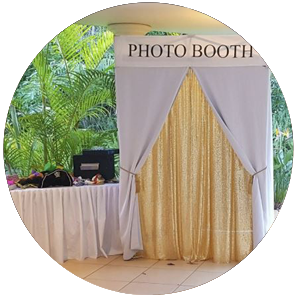 Our Photobooth is a great way to keep your guests entertained throughout the night! Jump into our booth and put on some fun props and get some photos snapped with your friends. Your guests will have heaps of fun with their friends taking photos with a print out and a copy of you to keep in your own personal photobook to look back on after the big day. Feel like you’re dancing on a soft bed of fluffy clouds with the addition of our Dancing On the Clouds option. 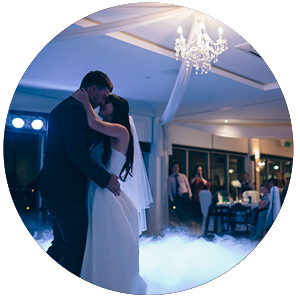 For the perfect First Dance, Entrance or other, our Dancing On the Clouds effect not only makes your first dance truly unforgettable as if straight out of a fairy tale, it also provides a gorgeous setting for some breathtaking photos that will last a lifetime. 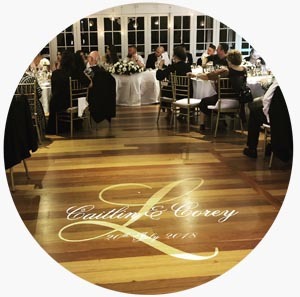 A wedding is supposed to be a representation of the couple and their love for one another, it’s important to find ways to add a bit of personalized style to your big day. Some couples want luxurious calligraphic monograms, while some want one that is more silly and fun. We can create a custom monogram featuring just about any symbol, date, shape or text, including # hastags as well. Whether you’re aiming for an intimate, subtle atmosphere or a high energy, colorful party scene, uplighting is an important element. Wash your venue walls in beautiful hues to match your color scheme and tie the entire room together. 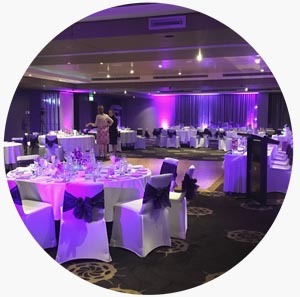 We are able to expertly match the light colors with your theme and advise you on the best combinations and placement for an amazing, memorable effect. 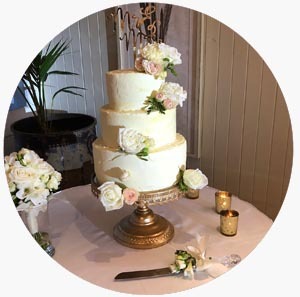 Sometimes considered one of the biggest items to have at your wedding, is of course the Wedding Cake. Ideal for any size of cake, Cake Pin Spotting is where we use 1 or 2 white, soft lights and actually make your cake stand out giving it a more ‘featured’ look rather than sitting in a dark, gloomy corner with no one paying attention to it, until later on. The Audio Edits option is a whole different type of experience. 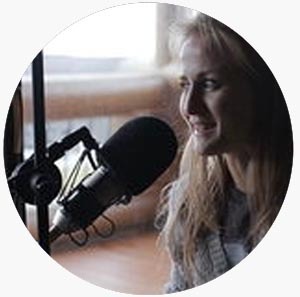 Ideal for the First Dance or Father Daughter Dance, this is where we combine a recording/conversation of you & your partner, and then play this together with your first dance, creating a unique and memorable experience. We’ll ask you both a series of questions and then mix that into your First Dance to create a very emotional and heartfelt dance together with your partner, or even your Dad or Mum. There are plenty of options when it comes to setting up your slide show. We will work with you to make sure we get your slide show just right. We can include personal photos, professional ones from a photographer or even pics of you an your friends from Instagram or Facebook. Not only can you include photos in your slide show, you can also feature video clips. If you would like, we can even add some of your favorite tunes to the slide show! After all, what’s a fun slide show without some music? 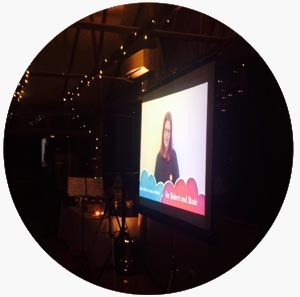 Do you need some of your event filmed? 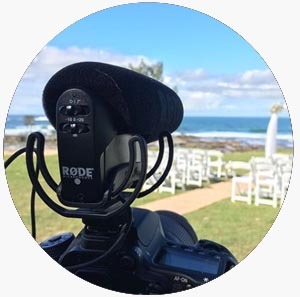 Speak to us about your requirements and we may be able to offer a very basic Video Recording package of your Wedding Day, including the Ceremony, Reception and key moments such as your Speeches and First Dance. Video will be filmed and provided onto a USB or DVD so you can watch it all over again.